This is a bit of a bargain and had to find. 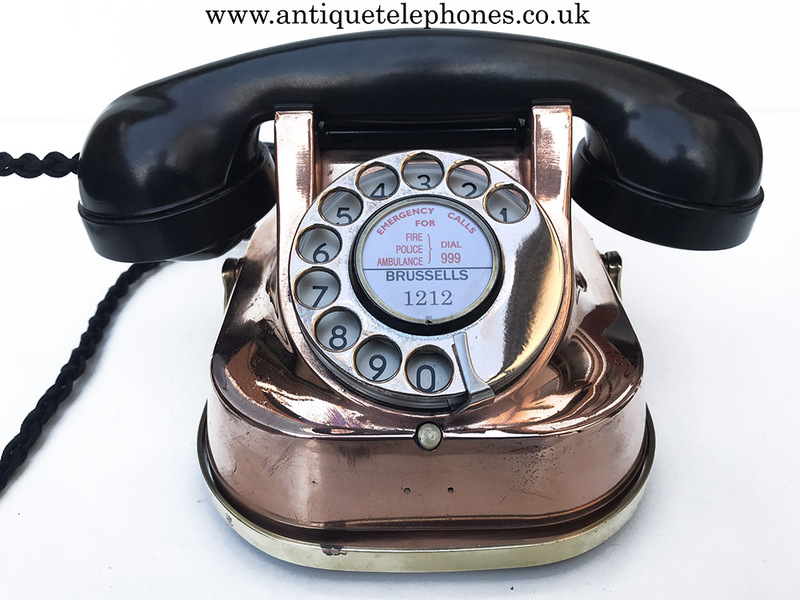 Hard to find copper Belguim telephone with brass carry handle. 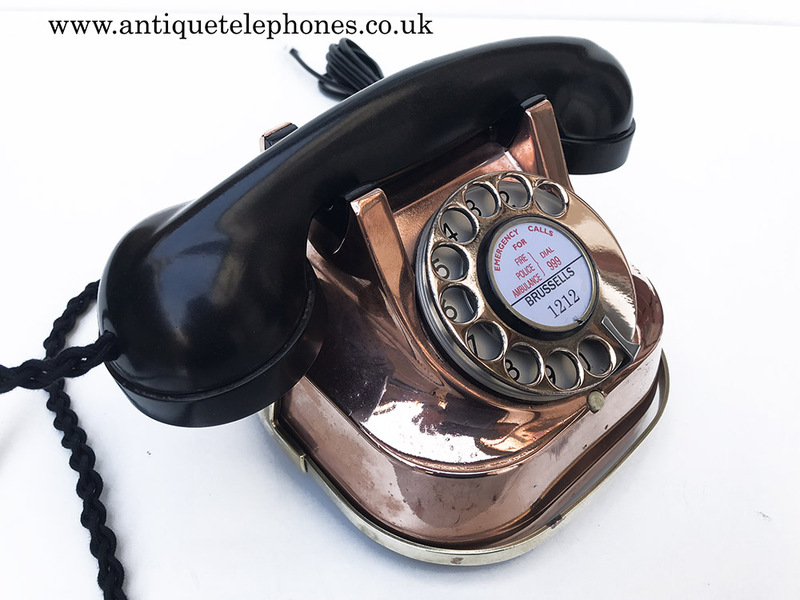 This is a nice example of a copper Belgium telephone. 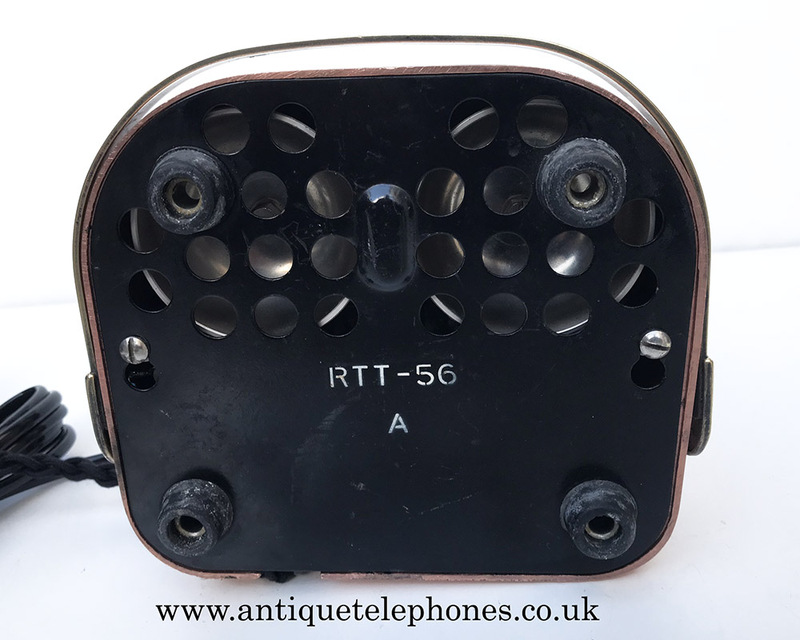 Commonly known as the kettle telephone due to its carry handle. 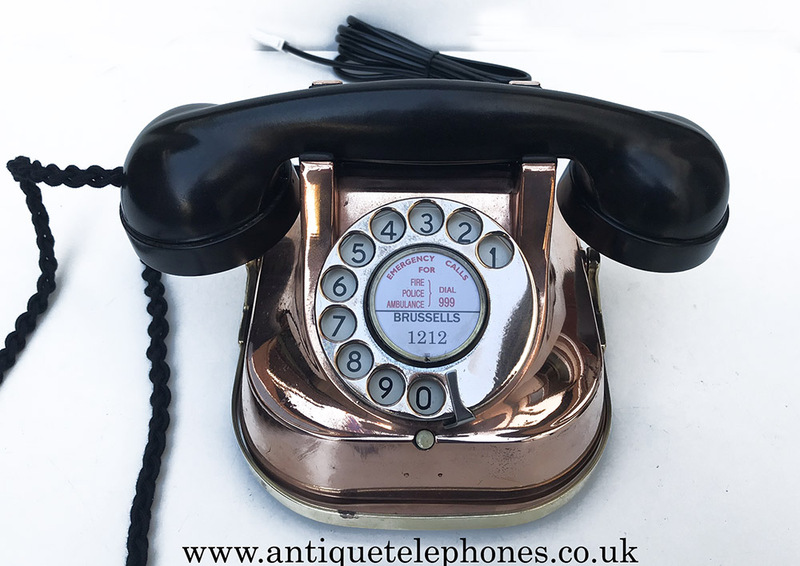 This one has been fitted with a very best quality black hand plaited braided handset cord, a hand made quality black plastic line in cord with a UK telephone plug socket and an electronic microphone. It has been converted to dial out and receive perfectly. This one is not restored to perfection and will have some ware and tear to the coating. Take a look at the pictures to see it is in very nice condition. 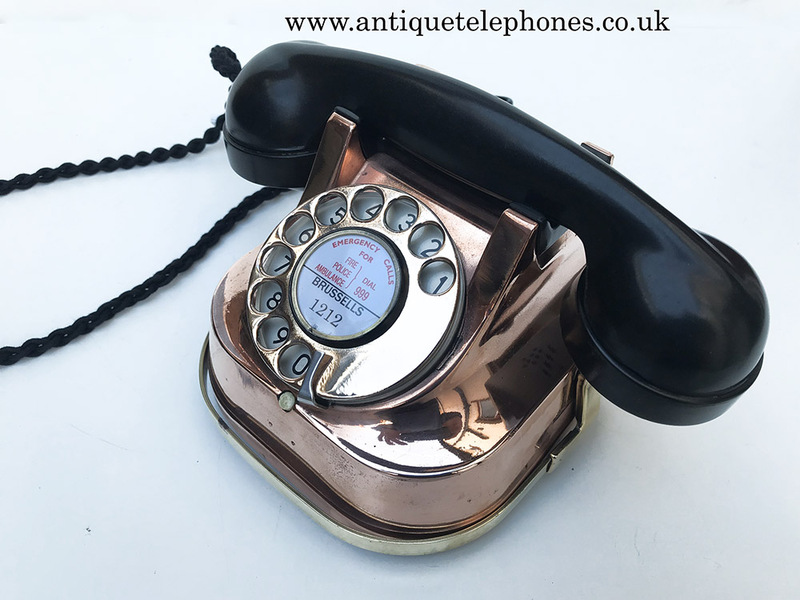 I have fitted this with a GPO No21 dial with a copper finger dialler. This is a much better dial than the original and will work perfectly. I can fit a dial label with your information that can be chosen on checkout. I am selling this one at very little profit for a customer that has two so grab yourself a bargain.